TAP & TRAY – the highlight of any event and a guarantee for professional entertainment! International tap stars TAP & TRAY showcase a variety of styles, from ferociously fast Paddle-and-Roll rhythms to languid, elegant Soft Shoe to fiery a-cappella counterpoint. From first taps to last, these artists captivate the audience with thrilling, humorous, unforgettable performances. 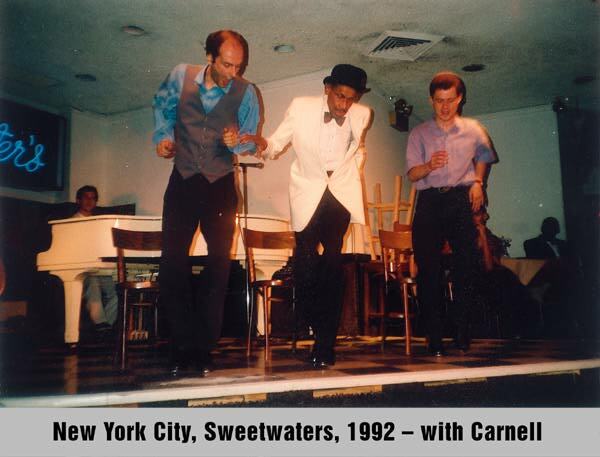 TAP & TRAY inherited their vaudevillian specialty – dancing wildly while spinning large silver trays – from their late mentor, the great Carnell Lyons from Kansas City, Missouri. 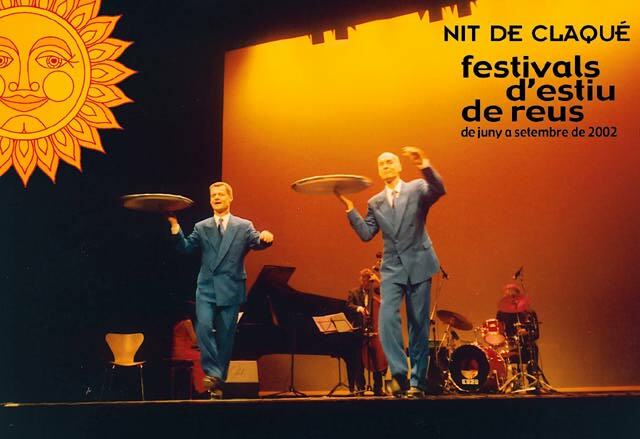 Dancing and drumming on floor and trays the duo practically explodes in rhythmic fireworks. Contemporary artists with a flair for old-time show business, TAP & TRAY will entice you into the magic world of rhythm. 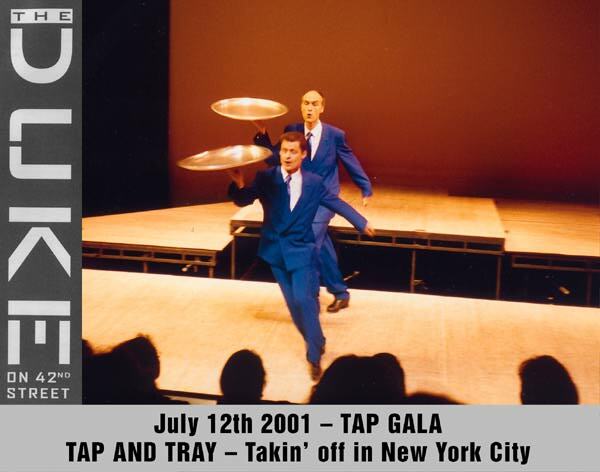 Working together for over 20 years, Kurt Albert and Klaus Bleis have made TAP & TRAY one of the most successful European tap acts of all time. Based in Germany, the duo has performed throughout the US (New York, Los Angeles, Chicago, Boston, Hartford, North Carolina, New Hampshire, Kansas City), Europe, and Russia with virtually all of the finest tap dancers in the world. Their training includes an apprenticeship with showbiz legend Carnell Lyons as well as intensive study with Motown legend Cholly Atkins, tap greats such as Charles “Honi” Coles and James “Buster” Brown, and tap guru Brenda Bufalino. Together they have worked with Bufalino’s “International Tap Dance Orchestra” in Germany and New York, Yogo Pausch’s “Dream Drummer Percussion Big Band” and in the funk tap show “Funked Up”. Together with dancer Joshua Hilberman they produced the annual cult classic, “The World Championships of Paddle and Roll”, a parody of dance competitions.